Number of Sleeping Rooms/Suites: 133 Number of Meeting Rooms: 1 Total Meeting Space: 200 sq. ft. 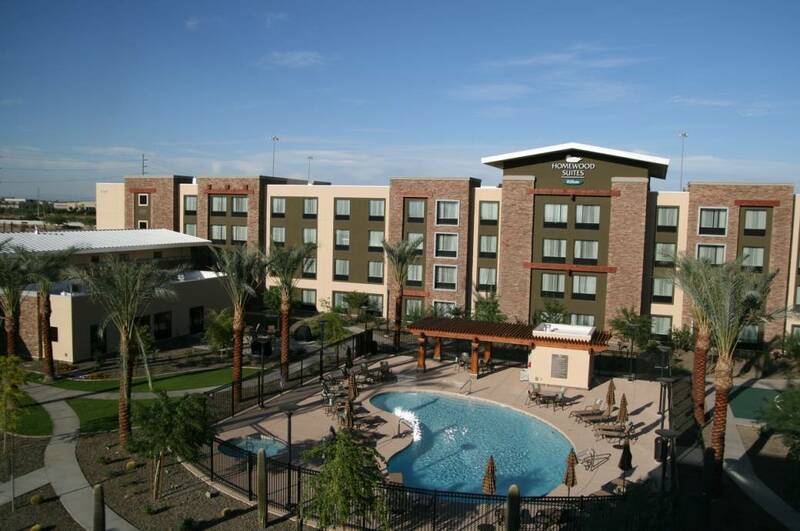 Type of	Meeting Venue: Boardroom Distance to PHX Sky Harbor: 17 miles Distance to Phoenix Mesa Gateway Airport: 17 miles The Homewood Suites boardroom can seat up to 8 people. It is designed to be used for quaint meetings. The room is equipped with a whiteboard, a mounted T.V., and a projector screen. Upon request, light food and beverages may be provided. Outside food and beverages are also welcome. Description The Homewood Suites boardroom can seat up to 8 people. It is designed to be used for quaint meetings. The room is equipped with a whiteboard, a mounted T.V., and a projector screen. Upon request, light food and beverages may be provided. Outside food and beverages are also welcome.